Gothic Victorian and dark for that very special taste! Group these besides a fireplace, over a mantle or anywhere it seems to fit. This one shows the candle cover in yellow with 'drips'. 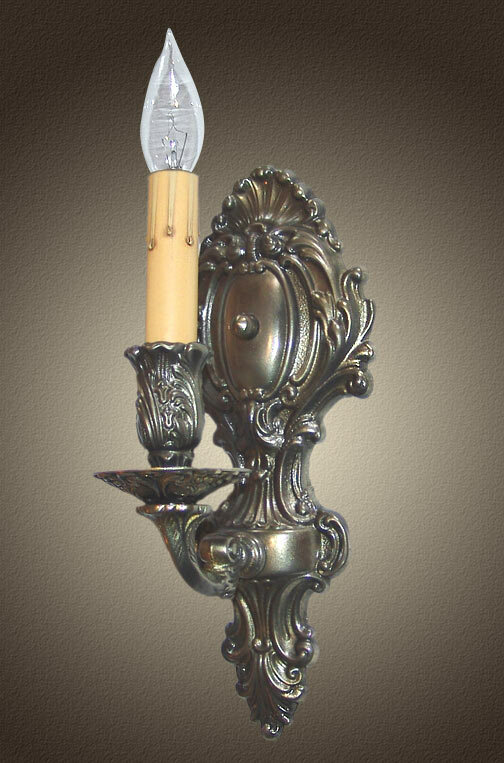 Shown in Dark Antique Brass. Available in different Metal Finishes, different Glass, Back Plate, multiple arms and many other Custom Options. Width 4.75 In. / Projection 5 In. / Depth 11 In.